Hidden Object - Find a list of objects or clues hidden in a larger picture or scene. Help the Princess Save Her People! 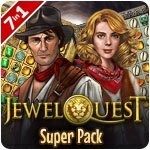 7 classic Jewel Quest games in one spellbinding package! 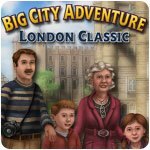 Take a Vacation to London and Solve Puzzles Along the Way! 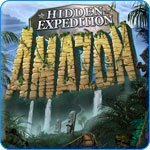 Professor Mandible is Missing in the Amazon Rainforest and It's Your Job to Find Him in Hidden Expedition: Amazon! Can You Adjust to Life on the Farm? Save the Museum from the Witch! Unscramble the Book of Magic and Set the Fairies Free! Rid the Tower of Secrets of a Malicious Curse! Help Pengoo find his way back home! Navigate a creepy maze and destroy an evil curse! 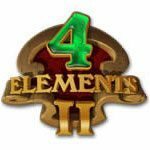 An enchanting Match-3 and Hidden Object bundle! After many years away, Mary has come back to her family home. Help her uncover what happened to it! Find your missing fiancee in the mysterious underwater city. Discover a hidden world under modern San Francisco! Put your investigative skills to the test in this new Agatha Christie mystery! Help Alicia solve a mystery behind a ritual murder! Discover your family's legacy! Uncover your grandfather's true identity and restore his legacy! Help Kraixx save his world! The cold holds many secrets. What begins as a simple investigation quickly takes an ice-cold turn. Find and Unlock the Lost Tomb of Ancient Egypt! Travel the globe and find the Tekka people's Ancient Secrets! Scour the country for antiques with the help of james and grace. Two amazing adventures with Arizona Rose! Help Ashely investigate a mysterious death in an abandoned zoo! The final adventure concludes here! Rebuild the ruined floating kingdom! Help Sophia by unlocking the secrets of this enchanting world! Can you solve all the puzzles to help Sophia escape the castle? A shipwreck on a volcanic island unearths deadly secrets! Join the adventures in the Sunhook Spire! Help Joe and Tom repair an old barn and prepare for the harsh winter! Stop the Blood Countess from claiming another victim! 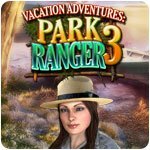 Get 4 times the Hidden Object fun and adventure with this awesome pack! Four entertaining Hidden Object games in one! Four times the adventure in this Hidden Object pack! 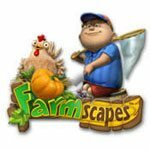 Another amazing hidden object bundle! Get 4 top-notch hidden object adventures in this pack! Four incredible adventures awaits you! Get your Hidden Object fix with these 4 incredible games! Can you detective, step over the edge of this world, and destroy the Darkness in it's lair? Find out what happened to your grandfather! A journey beyond the stars! Search for thousands of cleverly hidden items around the historic sites of jolly old London. Explore Paris the Big City Adventure way! Samba your way to the tropical paradise of Rio de Janeiro! Explore the fascinating international metropolis of Shanghai! Take a fun, puzzle-packed vacation to Sydney, Australia! Tokyo, the ultimate metropolis, awaits you! Discover the secrets that lie within Bluebeard's forbidden lair! Are you the true Alice? Stop the evil Princess of Hearts and discover your true destiny! Explore a world where paintings come to life! Travel the globe while you build, buy and flip houses for big profits! Listen...for the sound of betrayal! Pucker up...for the kiss of death! Chimeras: Mortal Medicine Collector's Edition New! Why would anyone stop Christmas? An awesome new Christmas Wonderland! Bring this legendary American novel to life! You seem to have landed in an endless dark hallway... or is it a house? Clean up the clutter in this amazing Clutter Bundle - ! Enjoy the 2 Ultimate Un-Hidden Object Game! Declutter with this five game Super Pack! Clutter like you've never seen before! Return 7 vices to the Vault to save yourself and your daughter! Step into the shoes of a private detective! There is no future without knowledge of the past. 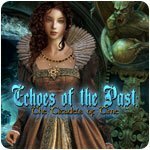 Two exciting Hidden Object games packaged into one! Evil never asks for permission. Every family has its secrets...Investgiate as the head of the Maybard family has been murdered! These nursery rhymes are cursed? Can you escape from the mysterious world of illusions? Save your friends and escape from a deadly game world! Who's the real Marion Ashworth? The human mind's no toy. Stardom can be dangerous...Can you save your best friend before it's too late? Find the woman lost in a Carnival of Horrors! A love molded into death! A dark dimension has smothered Phoenix Hill in volcanic ash! A family's tragedy is finally revealed! Try to escape a town filled with deadly, sentient shadows! Save the town of Seven Oaks from a dark dimension! Look for clues and speak to the dead in this free hog! Unravel the secret of Pawtuxet Island and face an evil necromancer! Stop the disaster caused by the Sky Kingdom! Stop the nightmares from spreading! Escape the clutches of the Frog Prince! Cracks are covering the kingdom! A thief has stolen magic that is key to keeping the balance! Wishes can be deadly. As an arsonist is burning down the Mountain Kingdom's forests! Bluebird wants an heir...Can you stop history from repeating itself? Sail to the Underworld! Can you save your true love from the God of Death or will you be condemmed? Enter the enchanted realm of the Snow Kingdom! Death can't stop this feud...Can you save the Metzengerstein line before it's too late? What evil inhabits the House of Usher? Can you get to the heart of this shocking murder? Justice is in your hands! Dawn of Hope: Skyline Adventure Collector's Edition New! Soar into a thrilling adventure! And Uncover a secret from the past to save your dying father! A sudden murder overshadows the writing opportunity of a lifetime. How did Veronica West die? Who killed the railroad tycoon? Travel to a Klondike Gold Rush town to solve a murder! Can you solve this 19th Century murder? Wield the mighty Gauntlet of Horus and confront the darkness! Test your speed with non-stop, round-based hidden object scenes! Follow Mark T. Ross on an epic adventure in Paris! Create the universe one element at a time! Save your love from ancient curse! The awesome sequel to Drawn is here! Save the world from the evil dwarf! Can you find the cure for your sister's illness? Help Laura save her husband from the Sandman's revenge. DreamWalker: Never Fall Asleep New! Enter Drowsy Valley and Traverse the dream worlds to solve a frightening mystery! Sweet combination of Match-3 and hidden object! Save the castle's inhabitants from a stony curse. A painting has come to life and asks for help! Defeat a dark power and save your fellow Healers! The mystical city is under attack! What starts as a pet adoption turns into the trip of a lifetime. Embark on an adventurous journey to uncover a treasure! 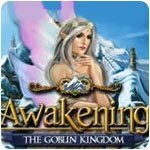 Help Queen Aerin protect the kingdom! A dragon has awoken after a hundred years! What secrets will you find in the shadows of Karkhala? The final chapter in the Enigmatis trilogy. Face the monsters hidden in the mists of Ravenwood! Search out the items you'll need to escape this mysterious isle. Stop the toxic flowers terrorizing a Dutch town! Uncover the dark secrets of an immortal sorcerer to stop his evil rituals! Pop the Orbs to save the World... from Evil! Help Marla release her brother from captivity! Follow the Simmons family on their journeys! One man's art is another man's prison! Uncover the secrets of a spooky old theater! It's been 40 years...What secrets are hiding in the European countryside? Not the same childhood fairy tale as you remember it! Solve the mystery of a seaside town. Uncover the truth about your father's dark secrets! Your murderous half-sister has escaped! A film feud turns fatal! This director cuts like a knife! An escapade of a lifetime. Bulid your own beautiful aquarium in this hid. object romp. Match3 + HO = double the pleasure! Investigate strange goings-on in an eerie town! The Call of Love echoes through an enchanted forest. Will you answer? Save a magical world from the terrors of Eldor! Explore exotic islands in this never-ending hidden object game! Be alarmed in this creepy new thriller! Find items to sell as fast as you can to restore a garden. Renovate your mansion by cleaning it from top to bottom! The town of Deadwood is being terrorized! Do you know the face of guilt? Help a young detective find a serial killer! Stop a terrible force from destroying the moon! A vigilante terrorizes a small town! A tyrant has taken over Florence, destroying priceless art! When the Red Cat is upon your door, you're next! Can you Unmask the mysterious Red Cat! Uncover an enchanting world of legends, mystery and magic! Save your niece from an evil presence! Save your niece from the evil presence haunting her school. What's waiting at Crimson Hollow? Can you save the girl in time, or will you fall to darkness? Save your sister in this frightening, puzzle-filled adventure! Can you prove your innocence? You've got one dangerous family. Elude the wolves in the castle as you solve its many mysteries! Go on a sensational Trick or Treat adventure with Mike and Emma! Delve into the decaying asylum and discover its secrets! Race to uncover the secrets of the mysterious Morpheus skull! Have a haunted Halloween with this ghoulish super pack! Can you escape the creepy rooms of the haunted hotel? For many years, the lands of Angkor have been suffering from a curse. Will you be the one to end it? The crimes of the past keep haunting the Lexington Hotel! Haunted Legends: Faulty Creatures Collector's Edition New! Only you can stop the menacing statues that are coming to life! Uncover the true murderer as you investigate a haunted house! Can you find a cure for your deadly illness? Escape the surreal world of a troubled artist! Stop a strange phenomenon that could threaten the entire world! Embark on six challenging and exciting adventures across fantastical worlds and vibrant lands! Travel to the Amazon Rainforest to find the Beetle Temple! Search for hidden objects on the mysterious, sunken Titanic! What's hiding under the dome? On your toes, Agent! Someone has just attacked the H.E.L.P. academy and has taken an ancient map. Hidden Facts - Hawaii New! Mysterious mirror fun in Hidden in Time: Mirror Mirror! Find the legendary treasure hidden in Buckingham Palace. Salem's secrets are yours to explore... if you dare! 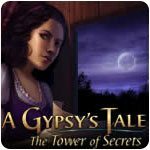 Crosswords and hidden object games together in one package! Race against time in this fast paced Hidden Object double pack! Five stories and five adventures around the World in one exciting hidden object game. Help your comrade find his mysteriously disappeared love called Ariadna. Save the kingdom by casting down its evil dictator! Help the cursed prince break his curse and find his princess. Solve the riddles hidden within Lancaster Manor! Return to the House of 1,000 Doors to save mankind from annihilation! Do not open the collector's safe! Search for clues to escape a creepy mansion. Get two hit Hidden Object games packaged into one! True love can never die! Find your way back home and stop the INVASION! Investigate a mysterious an ancient sarcophagus! Match precious jewels as you travel across Greece! Get rid of all the clutter! Tricked into a conspiracy against the crown, help to restore the honor of the Ulmer family! The past isn't set in stone. Restore creativity to the city! Travel through the worlds and save Margaret. The League has chosen you! Stop the beast that's terrorizing Sorrow's Well! Solve tasks and exciting puzzles to figure out the mystery of the witch of the enigmatic island. Help Goldilocks's son protect his village from invading bears! Heal a broken kingdom plagued by corruption and injustice! Help the elven people survive on a lost island! You are the last hope to eliminate the ancient curse! The Weeping Woman is just a superstitious legend, right? Become a private detective and help Margaret find her love! Get lost in the mystery, intrigue and adventure of Marooned! Help Mary plan the perfect wedding! Help Mary and family prepare for their vacation! A terrifying truth and dark shadows await you! The forest holds many secrets within it! Your sister's dying, and her only hope is a magical potion. Complete hundreds of challenging HOGs. Unlock the mysteries of the Salem Witch Trials! Find the jewels to save a lost kingdom - Premium Edition! Solve 5 exciting cases with the cast of Murder, She Wrote! Trapped in the mountains. Surrounded by evil. Locate the missing groom in a town plagued by drownings. Defeat the Chaos God and escape from his mysterious orb! Unveil the dark secrets of this eerie mansion! 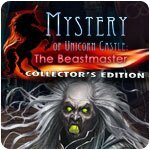 Mystery Case Files: Broken Hour Collector's Edition New! 4 missing students and a terrifying legend! Collect clues to solve Huntsville's mysterious crime wave! Can you find the key? Solve a murder at the circus before it happens! Catch the thief responsible for stealing the Queen's diamond! Find a missing woman in Ravenhearst mansion. 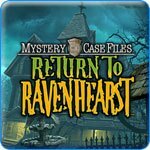 Find out what happened AFTER the events of Mystery Case Files: Key to Ravenhearst! Discover the darkest secrets of the manor before it's too late. Recover the secret cookbook in this hidden object romp! Uncover the lost sapphire codex! Defeat the enchantress, one curse at a time! Discover the secret of the haunted opera ruins! Find an endless items in this vast hidden object adventure! Something strange is happening in the town of Mud Creek and Your task is to find out what it is! Explore the mysterious Unicorn Castle and help save Sophie! A fortune is hidden in New York City! Can you find it in time? Find the Clues, Solve the Vegas Heist! Call on the animal spirits! Does anger ever really die? Can you stop the fiery witch before it's too late? Someone's after the Mystery Trackers! Uncover the treachery of a centuries-old turncoat! Explore a mysterious mansion and uncover its darkest secrets! Search a spooky manor for clues to the diary. Discover the Philosopher's Stone's secrets! Hunt down a cunning vampire! Can you save Prague from destruction? Can you heal the Emperor's son - and save yourself? The rat catcher's after more than rats. Uncover the secret of mysterious and deadly marsh lights! Put your detective skills to the test! Stories can be deadly...Can you save your boyfriend before it's too late? Save Taleworld from certain doom! A baby has been left at your doorstep! A baby is left on your doorstep! Help stop a dangerous criminal surrounded by lightning! The mysterious tale of a dangerous criminal! An ordinary murder. Or is it...? Search for the truth. Escape the cold incarceration of Davy Jones' brig! Uncover ecrets of the past in your pursuit of an undead pirate! Get two action-packed puzzle games based on numbers in this bundle! A stone worth the price of death. A mysterious figure in red! Deception is a deadly art! Track down the wily Fox' before he slips away into the beauty of Venice! Beware the mysterious figure in red! Photos capture more than memories. Can you save your new friend before it's too late? Who, or what, is causing Glockenverk's deadly cold spell? Do you dare tread the Forsaken Isle? Can you stop a puzzle-loving killer? Go on a quest to defeat an ancient evil. What treasure did Corwin find? Will you help your captors find the greatest treasure on earth? Explore the Paradise Retreat and solve mini games to unlock new and wonderful locations! Will you be able to predict the assassin's next step? And solve the Murder Case in time? Ominous clouds are gathering over Persia! Join Peter Pan and Wendy on a magical journey through Neverland! Solve the obscure mystery that has plagued the town! What's lurking in the shadows? There's more to this resort than meets the eye. Carrying many lives on your shoulders, you must balance on the tightrope between life and death. Discover the secrets of your past on a mystical island! Investigate a strange cosmic force threatening the world! A unique mix of mini PUZZLE GAMES & TRIVIA! Save the kingdom and reunite Princess Isabella with her prince! Stop the deadly puppet master terrorizing the women of Paris! PuppetShow: Bloody Rosie Collector's Edition New! No one's as they appear...Can you solve the mystery behind a local woman's death? Survive the Theater of Emotions! Help king Robert investigate a series of kidnappings where the victims are children! A simple crime of passion or something more deeper and evil? A young promising student is sent on a dangerous mission to retrieve a powerful artifact. An Epic quest to resurrect peace! A cab ride takes a dark turn when you get stuck in a cemetery. Can you help the spirits find peace? Use your wits to escape a haunted graveyard! Are you trapped an island of ghosts forever? Family heirlooms can be dangerous...Can you save your world from darkness in time? Can you save the Fantastic Worlds? Save your twin from the witch who stole her youth! Save your twin from a nefarious witch! Save two worlds in Revived Legends: Road of the Kings! The seven deadly sins have sent Riddlestone into chaos! Save our newlyweds from the conniving Lord Drak. Follow your missing students through an ancient labyrinth! What secrets are hidden in the legendary McCordan Library? Some knowledge is deadly. Track down the truth about your brother's disappearance! Find ancient waters of the Fountain of Youth! Bury the secret to the golden touch once and for all! Search for ancient artifacts to discover Athena's roses! Escape into match-3 and with these 5 fantastic games! Find clues to your father's whereabouts in a Victorian mansion! Only you know the truth behind a deadly plague! Yarr! The dastardly Pirate King is out for blood & revenge and it seems you're his next target! A mutiny of the heart? This murderer's calling card is your nemesis. An innovative take on the hidden object genre! Secret Investgiation - Themis New! Solve the mysterious crimes and to expose the insidious criminals! Solve mysterious crimes to expose the insidious criminals! Unlock the ancient treasures of a great kingdom! Your surprise birthday visit is ruined by a fierce blizzard! Secrets of Great Queens: Old Tower Collector's Edition New! Queen Elizabeth's in danger! Can you clear her name before it's too late? Defeat the dark forces in the name of light. Follow the story of a princess and help her find lost treasures! Investigate thieves on a train ride through Europe. Can you find a cure? What lurks in the shadows of Iron Gate Asylum? Enjoy a unique new tale of psychological terror! Sherlock Holmes is on the Hunt Again! Take charge and shop to save your favorite dept. store! Explore the diverse world of Shutterville, inspired by horror movies! Save the city of Volarden! Call upon your magical powers to save your town from evil! Search for the Slingo machines to get rich. Play with fire and you might get burned! Find the Spear Of Destiny before the enemy! What happened at Flatsbury Castle? Revenge is a powerful motive. But can you stop a vengeful spirit's revnge before it's too late? Learn the story of the Ancient Forest rescued from the Dark Lord! Follow the Silver Arrow to discover your true destiny! Tower defense taken to an entirely new level! Uncover a devious plot in Aurora Peak! Albert's nightmare comes true when his paintings become real! Cool down with this eclectic mix of hot summer themed games! Can you survive the Game? Film is a dangerous place! Surface: Virtual Detective Collector's Edition New! Terror strikes deep in the heart! Your newest job interview could be your last! Help solve an otherworldly kidnapping! Can you find all the hidden objects and win $5 million? Join in the pursuit of a villain defacing famous masterpieces! Take a journey to the spirit world! Books can be deadly... Can you rescue your uncle from a book of nightmares before it's too late? Fight reality and the dream world to save your true love! A journey to a mysterious ancient civilization. Open the Gates to another world! And explore the causes of the mysterious epidemic. The Myth Seekers - The Legacy of Vulcan New! Can you recover the Hammer of Vulcan before havoc is unleashed by the ancient gods? A quick-paced hidden object game spanning the universe! Find the hidden treasure and save the Scruff family home! Save the future from destruction! Two action packed Hidden Object games you don't want to miss! Seven Gnomes hold the secret. Discover your golden path! Dark wrecked walls keep a terrible secret! Dive into a young girl's mind! An award winning physicist has been kidnapped! In a land plagued by drought and danger what can a tiny mouse do to save the day? Take a journey around the world! Did a ghost steal the ruby or was it something else? Enjoy puzzles, hidden objects and more in this epic adventure! Escape from a compound filled with dangerous animals! Embark on an epic journey to save mankind from evil! Find out what's really happening behind the scenes! Take a sensational around the world cruise! Awesome Round the World Cruise! Save New Orleans from a notorious vampire and his minions! An incredible adventure based on the true story of vampirism! An incredible adventure based on ta true story! Investgiate who broke the agreement between good and evil and What is prowling the London streets? Hours upon hours of challenging Viking adventures! Track down a venomous killer! Can you stop the obsessed inquisitor? A fun and highly addictive hidden object game! Experience Where's Waldo searches in a whole new way! Journey to a strange new dimension to save your family! Who controls the mysterious storms? Whispered Secrets: Song of Sorrow Collector's Edition New! Defeat a group of witches! Lynn's thirst for revenge has enraged her! Lynn must conquer her past! Infiltrate the Order of Witch Hunters to save your daughter! Infiltrate the Order of Witch Hunters! Lured and trapped by a mysterious sorcerer!